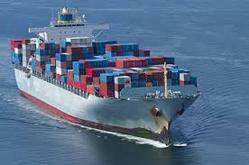 We are providing the wide range of Import Export License services to our clients. We are providing the wide range of Export Clearance services to our clients as per the requirements. We are providing the wide range of services to our client as per their requirements. Being one of the topmost importers, exporters, and traders of this domain, we are offering a quality approved assortment of Aluminum Scrap. These offered products are admired in the market for their strong construction long service life. We, Swarex Metal Private Limited started in the years 1991 are one of the foremost importers, exporters, and traders an extensive array of Aluminum Scrap. Our offered range consists of best grade Aluminium Ingots, Scrap Tread, Scrap Talon and Aluminium Scrap etc.